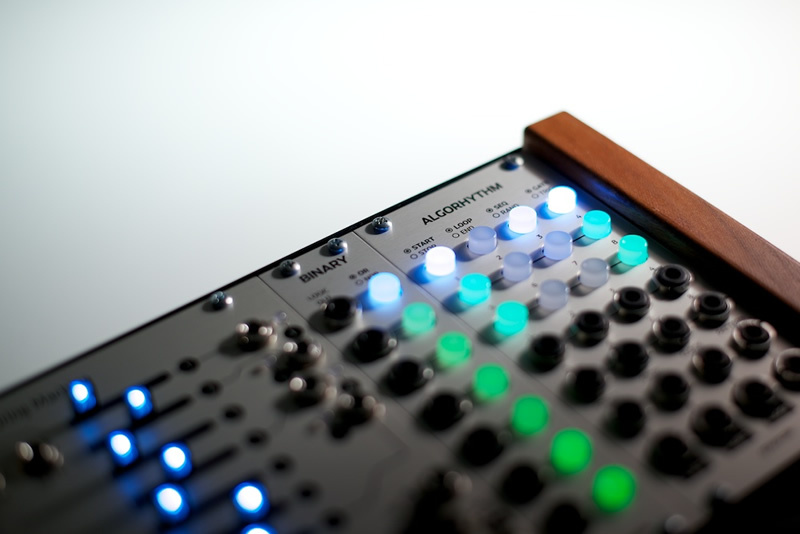 Algorhythm provides up to 8 channels of highly flexible and creative trigger sequencing options for your Eurorack modular system. With the new "Polyrhythm" firmware (released in 2017), you can choose from 8:8, 4:16, 2:32, and 1:64 channel:step modes depending on your needs. Each sub-sequence is independent from the others, with its own length, randomization, gate/trig, and looping settings. All parameters are automatically saved in memory and restored at startup. Matte black alternate panels are available here. 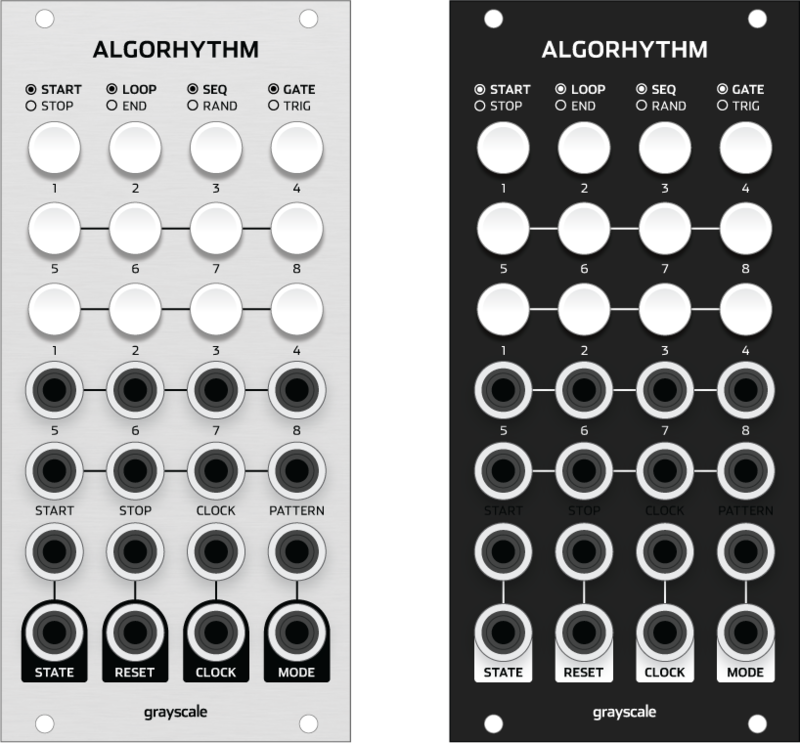 If you're buying a new Algorhythm module or kit, a black panel will be included for free in addition to the aluminum panel. If you would like the module to ship with the black panel, contact us or include a note during checkout. The DIY kit includes everything required to build the module. All SMD components are pre-installed on a fully tested sub-assembly. Only the jacks, switches, and headers need to be soldered in place. Aluminum and black panels are both included. Assembled modules have sold out. Check with our dealers for additional inventory. DIY kits are still available and can be ordered below. These feature refer to the "Polyrhythm" firmware released in 2016. If you have an older unit, check the "Polyrhythm" manual below for instructions.